As far as companion books go, there are only two I personally view as must-haves: Foster’s complete guide to Middle Earth, and Fonstad’s Atlas of Middle Earth. The former might not be as relevant today since the internet provides similar information, but since it is an actual book I have great fondness for it. It’s also devoid of publicity, unlike most Tolkien fan sites out there. The Atlas, meanwhile, is a surprisingly unsexy book... No grand pictures of majestic vistas, no 3D maps with vibrant colours; it looks very drab and is rather thin, but provides just the kind of geographical information required to get an idea of who goes where in The Silmarillion. (The few maps for the First Age are more informative than the one by Tolkien, in that we get to see where Angband and Thangorodrim are located relative to Dorthonion, and what the coast of Aman looks like). 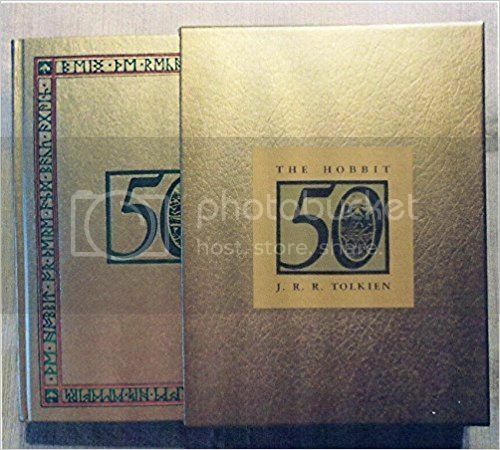 Other companion books may be interesting, but I find things like Tolkien’s ring or A Tolkien compass to be a little too speculative or to present analyses that are, in the end, just one person’s opinion. (I don’t include Christopher Tolkien’s History of Middle Earth in there, as most of the text is from his father). 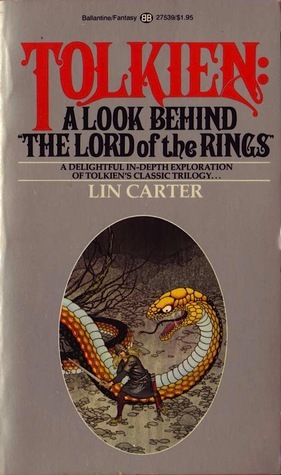 Lin Cater's A Look Behind the Lord of the Rings was influential for me as I read it in high school and at a time where there wasn't a lot of material about Tolkien generally available. I don't think it holds up well with all the other material out there now, but it was important to me at the time. I am still trying to track donw Carter's similar book on Lovecraft. I think I probably will get the atlas: I was looking at it in the book-store last week and the contents seem to be both interesting and useful. Also, the maps themselves seem to be pretty much in the style of Tolkien's own maps, and that look is important to me. The cover, unfortunately, isn't to my taste, but that's a relatively minor consideration for this kind of book. I do have the Foster book, it is quite good. I used to have the Tolkien Bestiary by David Day, but I gave it away. It was a decent book, as far as I remember, but I just never looked at it. It was taking up precious room on my bookshelf, so it had to go. 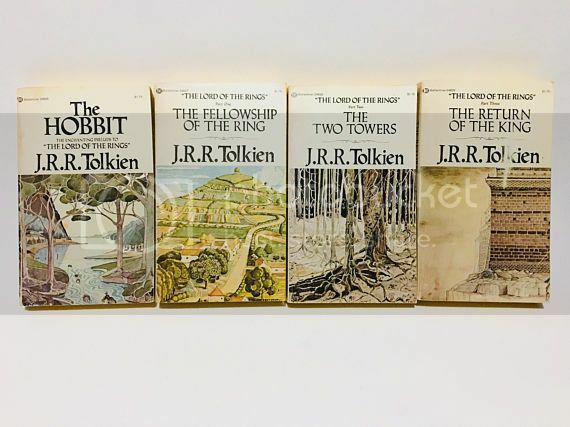 I loved the backstory behind the world of Middle Earth, the coming of the Elves, the cracking of the world and so on, but I agree that it didn't read the same as either The Hobbit or LOTR. I read to my daughter from this when she was young. As a result, I've promised her that when she has her first child, it will be passed on to her to continue the legacy. My wife loves monster illustrations, so there's no way we would get rid of it even if I wanted to, but I don't want to as I love monster art in general too, and Tolkien beasties in particular. You know, mrp's comments above and elsewhere in the thread about his wife's feelings towards Tolkien, remind me of something my own wife said recently about The Fellowship of the Ring that has turned into a bit of a running gag between us of late. She read The Lord of the Rings for the first time back in 2000, just ahead of the Peter Jackson movies coming out, and really enjoyed it. She also loves the Jackson movies, by the way, and we watch them reasonably often at home. Anyway, a couple of months ago she decided to re-read the LotRs, but about a third of the way through The Fellowship of the Ring she gave up. When I asked her why she wasn't reading it any more she said, "I got bored. There's just so much damn walking!" And that second book, it's just one tower after another! Looks like Tolkien illustrations on most or all of those covers, always the way to go, for my money. I picked up a copy of the Hobbit (complete with the Tolkien art) form my local library and started a reread of it today between shifts while I sat out the ice storm at work and ate lunch. Got as far as the slaying of the Goblin king and the escape of the dwarves from the goblins before I had to clock in for the second half of my split shift. I'd forgotten how fast-paced the book is especially in relation to how plodding the films were (and I've only seen the first and half of the second Hobbit films never got to the rest). yes, I remember the first time I read it, I picked it up on Christmas Eve and couldn't put it down. Finally had to go to bed when I was about half-way through, around the time of the riddle contest with Gollum, I think it was. Spent the first few hours of Christmas Day finishing it, more interested in the book than in opening my presents. A point that hadn’t struck me until recently is how, in Tolkien’s world, mankind is truly bad. Apart from the three families of Edain, who befriended Elves in the First Age and stood by them in their time of need, all the rest is, shall we say, “fallen”. We never got to know what mankind’s original sin was, but just as in the Old Testament they carry with them a flaw that made them easy targets for Morgoth’s manipulations. Even the Edain were not immune, even, to the dark lord’s evil. As we saw upon the sinking of Numenor, even the “good” humans could fall prey to hubris and could turn on the Valar and the Elves. Only a few select humans got into the third age free of the stigma of the shameful deeds of their forevears. The Lord of the Rings is sometimes said to be racist because the people of Gondor (in the west) are good people while the Easterlings and Southrons are allied with Sauron. In the context of the book, however, it is not that the non-westerners are evil; it is that almost all of mankind is. That they happen to live in the west is of course unfortunate in that it opens the door to accusations of eurocentrism, but come on... that’s to be expected of an author trying to create a British mythology. I've been re-reading part of The Hobbit these past couple of nights too. I started at Bilbo and the Dwarves' arrival at Laketown and read up until the book's end. It is a brisk read, but I love Tolkien's charming prose style in that book. Just wonderful stuff. I've said it before and I'll say it again, if the film adaptation of The Hobbit had just been one 3 hour film and stuck as closely as possible to the book text, with all of its action and humour, it would've been a much better film. Yep, that's what they said.